Whether it’s rosacea or sun spots, if you have dark pigmentation, it can make you want to hide your skin. But with Eric Jorgenson, ND, and his team at New Day Aesthetic Medicine, you can eliminate pigment issues with intense pulsed light (IPL) therapy. 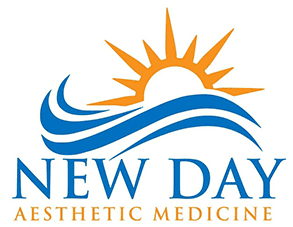 If you live in or near Hood River, Oregon, and want to improve the look and coloring of your skin, consider an IPL treatment at New Day Aesthetic Medicine. Call the office today, or go online to schedule your initial consultation. IPL, or intense pulsed light, therapy uses the power of light energy to reduce the appearance of dark pigmentation and the signs of aging. Dr. Jorgenson recommends IPL therapy to help patients like you reach their aesthetic goals. IPL therapy uses multiple wavelengths of light that penetrate to the second layer of your skin, without creating any damage to the surrounding tissue. It’s safe and effective all over the body but does work better on smooth surfaces. How do I prepare for IPL therapy? In preparation of your IPL therapy, check your skin for any issues that could impact the treatment, such as eczema or an acne breakout. Ideally, you abstain from using these products for at least two weeks before your scheduled appointment. What should I expect during IPL therapy? Your IPL therapy begins with skin preparation. After cleansing your skin, Dr. Jorgenson applies a ultrasound gel, which keeps your skin safe and comfortable during the treatment. The New Day Aesthetic Medicine practice’s IPL equipment also features a cutting-edge integrated cooling plate to minimize discomfort. Dr. Jorgenson will provide eye shields to protect your eyes from the intense light. He then uses the IPL handheld device to apply the light energy directly to your treatment area. Though every treatment is different, IPL therapy sessions typically last 20-30 minutes. To give you the best results possible, Dr.Jorgenson recommends three to six treatments scheduled about one month apart. Because it’s non-ablative and doesn’t damage your skin, you can return to your normal daily activities as soon as Dr. Jorgenson completes your IPL therapy. Your skin may look and feel like it has a slight sunburn, which could remain sensitive for a few days. If you think IPL therapy can help you reach your goals, contact New Day Aesthetic Medicine today to schedule your appointment. 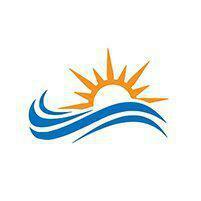 Use the online booking tool, or call the office.